Our cleaning services make Bangkok shine! You do your best work and enjoy living the most when your office and your home are clean, neat, well-organized, and ready for you. Our Bangkok maids know how to battle the grit, grime, and disorder that can lower your spirits, reduce productivity, and harbor germs that could make you ill. The maids care about your home and your place of business as if they were their own. We want you to delight in where you live and work, without having to get out the mop and the scrub brush yourself. Our maids are trained to go after the dirt and reduce the disorder that can lower your spirits, damage electronic equipment, and make even the best documents look dingy. General cleaning service—from the entry hall to that back bedroom that you never have time to straighten up. Laundry service—we are experts in keeping the colors bright and the whites white. Ironing—your shirts, skirts, blouses, and trousers will look as crisp as they did when you bought them. Dishes—we can take care of the daily routine of cleaning up after meals, and also periodic tasks like cleaning silver or rarely-used crystal so it is ready when you want it. You don’t want to inherit someone else’s mess. Our move-in move-out cleaning service can make your new home or office clean, tidy, and ready for you. And when it is time to move on, we can help put everything right for the next people, from washing the windows to cleaning the oven. If you rent property to others, Our Bangkok maid can make sure that property always looks its best and is ready for its new occupants. Some areas need intensive attention to get the dirt and grime under control. Our deep cleaning service can strip and re-finish wooden and tile floors, re-grout bathrooms, attack mold and mildew, and fight back the dirt and mud that get tracked in from the outside world. 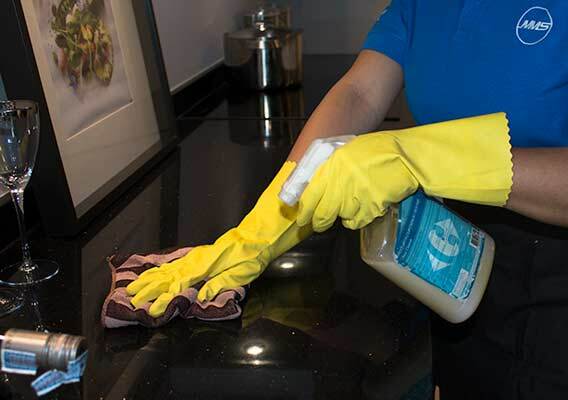 General cleaning so surfaces are free of dust, floors and carpets are clean, and counters, sinks, and appliances are shiny. A rotation system of deep cleaning so that, over time, we address in detail every part of your home and office. The rotation cleaning solution tackles stubborn grime, grit that can cause wear to carpeting and finished surfaces and can harm electronics, and the general “worn out” look that even the nicest house can develop without intensive cleaning care. Regular, thorough cleaning does more than make your home or office look nice. It makes a healthier environment and removes dust and grit that can cause both surfaces and appliances to wear out sooner than they should. Cleaning is what we are good at, and we are good at it so that you will have neat, clean, healthy surroundings both at work and at home. Contact us for a free, no-obligation estimate. We will help you draw up a cleaning plan that suits your needs, your budget, and your schedule. And then our cleaning service in Bangkok will make your environment sparkle!